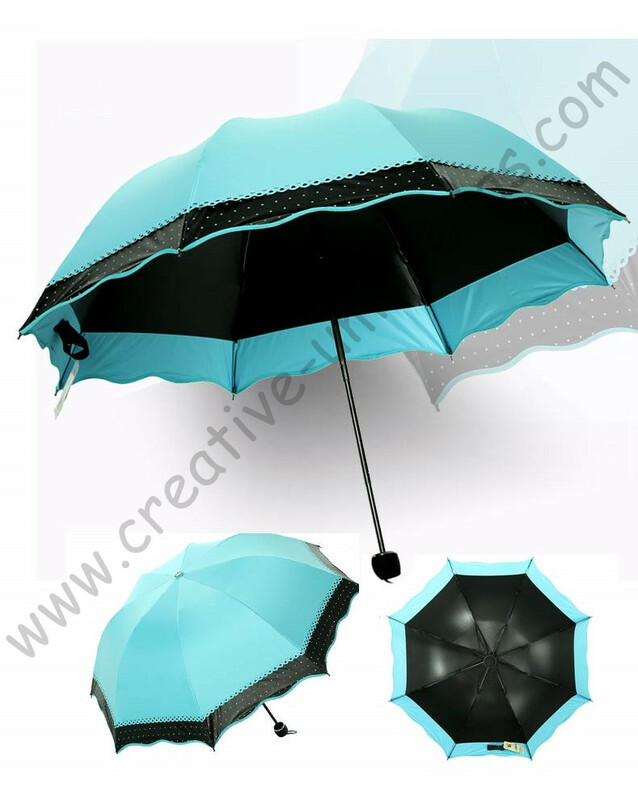 22\'\'*8K Three fold,pocket&bag umbrella,"Princess Parasol"
Customized materials, parts, colors, CMYK Designs / Picture printings are all available. please kindly according to material object of umbrellas. 2.Customized materials,parts,colors,CMYK Designs/Picture printings are all available. 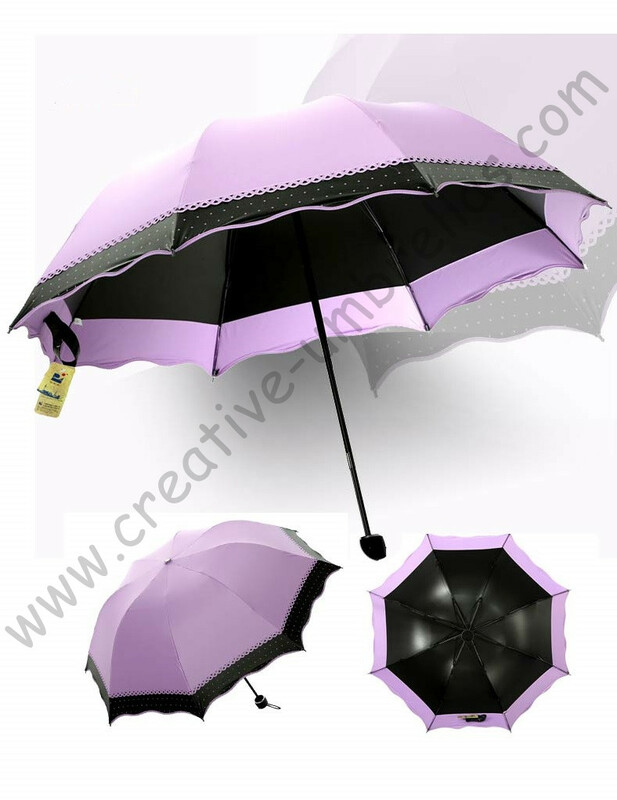 1.The umbrella to be reset completely after to open again,do not close hardly when umbrellas in the state of opening. 2.When resetting, please hold the handle tightly to avoid slipping. 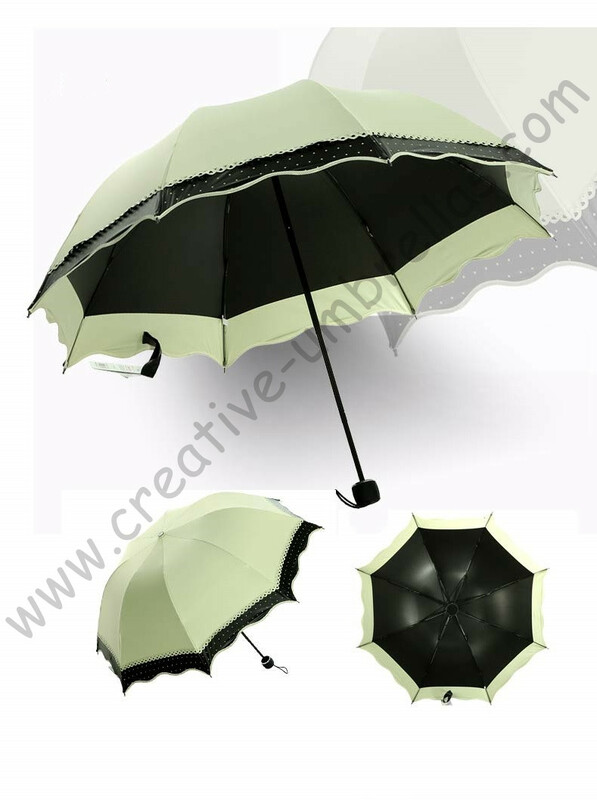 3.When open&close the umbrella, please keep 30cm distance between umbrella and eye,so as not to be bullet wounds. 4.Don’t use other body alignment. 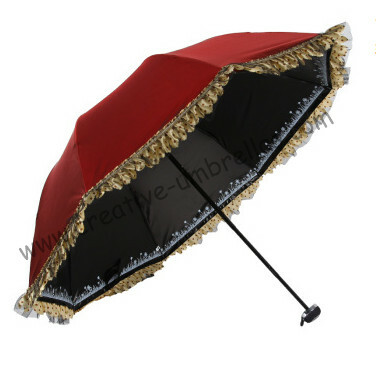 Please strictly according to this instruction to avoid damage,prolong umbrellas’ longevity. 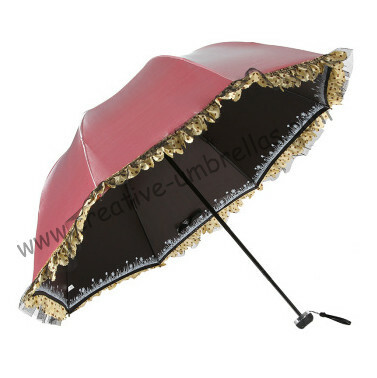 1: When using,try to avoid the umbrella surface damage caused by contact with sharp objects. 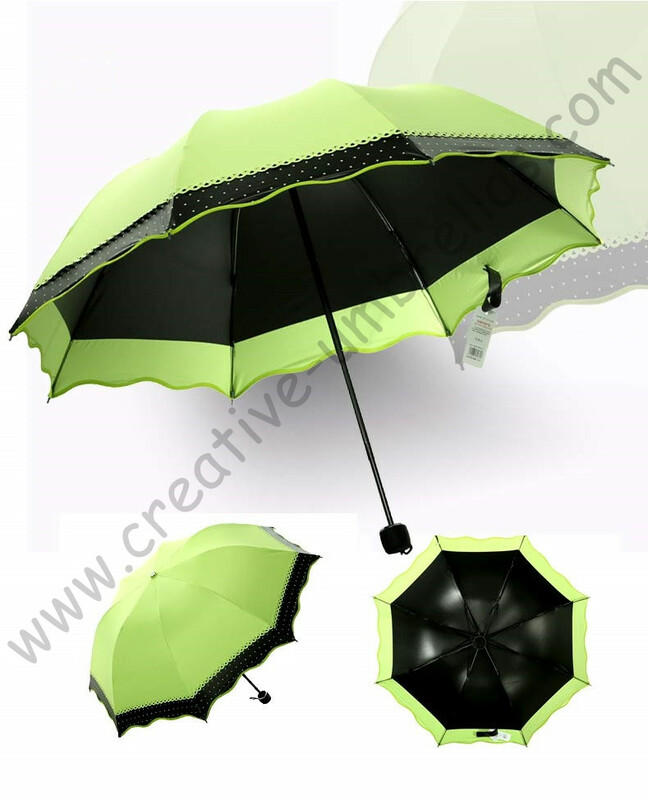 2:When finish using,please open the umbrella to let it be dry, packaging together with pouch completely. 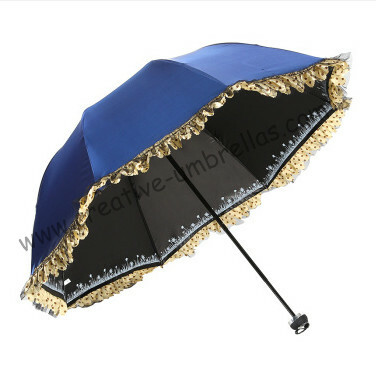 3: Avoid stress collection, so as not to damage the umbrella. 4: Do not use in the strong wind force, so as to avoid breaking bone fracture. 5: It had better use clean water rinse an umbrella surface and open the umbrella to let it be dry after the collection every 3 - 5 days. 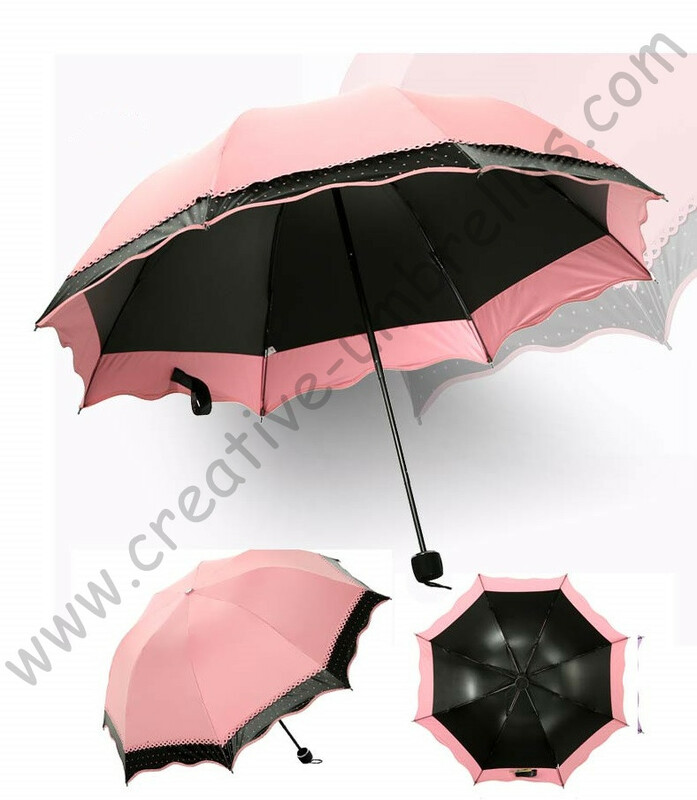 6: Once umbrella broken, please immediately stop using to avoid scratching the umbrella surface,send to professional man repairing Asap. 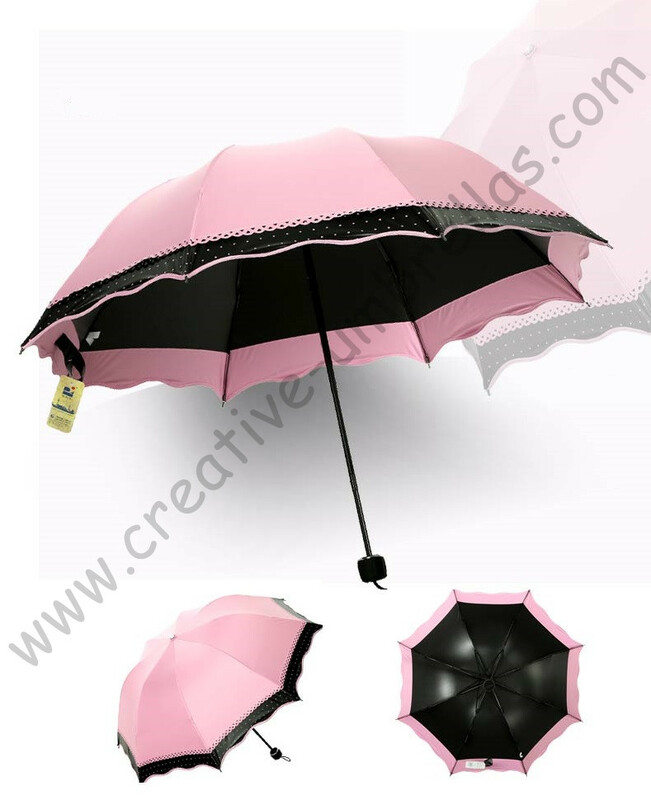 fittings will be a bit different, but it does not affect the normal use of the umbrella and umbrella’s quality. A full refund will be given if items are returned in their original condition. On receiving items,we will refund you immediately. Buyers are only responsible for the return shipping fees for warranty items. (In most cases, buyer will only have to return the problem components rather than the entire package. Before returning items, please make sure you get our (the seller’s) return address, and write “gift” on the delivery detail sheet. Please use regular postal service and send us the tracking number.